Bradley County Sheriff Eric Watson prepares to leave the courtroom after a motions hearing at the Cleveland Municipal Building on Wednesday, Dec. 13, 2017 in Cleveland, Tenn. Sheriff Watson is being charged with 12 felonies in relation to forged vehicle registrations. A special prosecutor has dismissed all 12 felony counts against Bradley County, Tenn., Sheriff Eric Watson, who was due to be tried Jan. 22 on charges of forging automobile titles. After the dismissal was announced Thursday morning, Watson said in a statement he was "thankful for the words of support and encouragement for the last 18 months, when I had to face the allegations and accusations that was made against me. I have maintained my faith in the judicial system to prove my innocence." He added, "It is the utmost importance to me that Bradley County residents know that employees at the Bradley County Sheriff's Office have consistently provided this community great law-enforcement services throughout this ordeal." Watson was charged with having or using forged titles for six cars he bought in Florida and sold in Tennessee in 2016. News release from the 4th Judicial District Attorney General dismissing charges against Bradley County Sheriff Eric Watson. 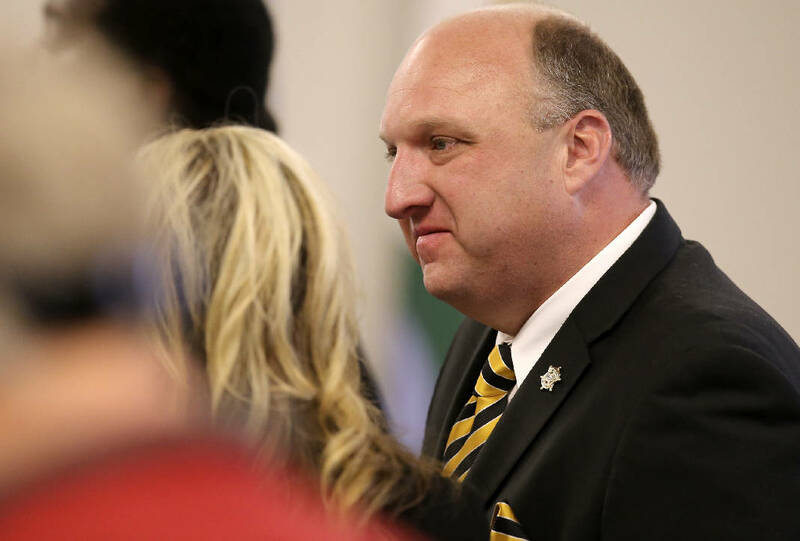 However, Jimmy Dunn, district attorney in the 4th Judicial District, said he decided to dismiss the charges after Watson's attorney provided proof the sheriff paid local taxes on the vehicles, a wholly new issue in the case. Up to now, the state's case only alleged Watson, who had a car salesman's license, wrote in the name of the dealership he worked for after his own signature on the titles. He needed to go through the dealership because he'd already transferred the maximum number of cars he could sell without a dealers' license. Dunn's statement said the "crux of the state's case" was that after Watson brought the cars to Tennessee, he "made alterations to the titles of these vehicles and failed to pay certain taxes and fees required by law ... "
He said Watson's attorney, James F. Logan Jr., gave his office documents on Dec. 29 proving Watson paid the taxes and fees on Dec. 13, 2016. That was 11 days after the Times Free Press emailed Watson asking for proof that he had registered and paid taxes on the cars he bought in August 2016, and nine days after the newspaper printed a story detailing the car purchases and sales. Dunn said that "even though there may be technical violations of the law, the spirit of the law seeks to punish fraudulent conduct" to evade taxes. " ... Since Sheriff Watson rectified this failure prior to the seeking of the [charges] this case will be closed with a dismissal of the case on all counts." Logan said the December delivery was actually the second time he'd sent proof of the tax payments to Dunn. He said he sent the information first in September or October, and re-sent it after Special Judge Don Ash refused to dismiss the charges against Watson in December. Logan said the "justice system worked" for his client and commended Dunn's "intellectual integrity" in dropping the case. He also noted that other investigations into Watson's tenure as sheriff, including a Tennessee Bureau of Investigation probe that began in July 2016 and a forensic audit by the state comptroller's office, have found no wrongdoing. "He's been investigated by everybody except the Warren Commission and he's gotten a clean bill of health from all," Logan said. 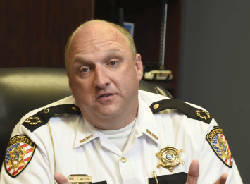 In a series of stories beginning in March 2016, the Times Free Press documented multiple allegations against Watson, including helping his wife in her bail bonding business; improper disposal of surplus property and misuse of county money; getting a bond reduced so a woman with whom he had a personal relationship could get out of jail; using the sheriff's office credit card for personal purchases, such as paint for his former house; and writing the names of sheriff's officers on credit card receipts for meals he really was buying for his family. Numerous allegations by a Bradley County commissioner triggered the TBI probe, but in December some current and former sheriff's office employees told the Times Free Press the agency didn't follow up on information they provided. The news release announcing dismissal of charges against Bradley Sheriff Eric Watson. TBI spokeswoman Susan Niland said Thursday the agency has delivered results of its investigation to Dunn but has not been officially told to close the case. Asked for comment on the dismissal, Commissioner Dan Rawls sent the Times Free Press a copy of an email he said he sent to Dunn's office Thursday. Rawls wrote that he was "stunned" at the dismissal. "These charges were not about taxes, they were about forgery," Rawls wrote. "Your actions are a disgusting slap in the face to the citizens and grand jury of Bradley County. The message this sends to people in communities is not to get involved and not to be a whistleblower, as the state of Tennessee will not take action against corruption by elected officials." Commissioner Thomas Crye, who also spearheaded the push to investigate the sheriff's office, also noticed the new reference to taxes. "I accept the finding and actions taken by District Attorney General Dunn on the 12 indictments ... [but] I'm somehow surprised that this is the first mention [of taxes] when the 12 original indictments referred only to the fraudulent use of titles." Dunn did not respond to a question about why he introduced the tax issue in the case. Watson will hold a news conference at 9 a.m. today at the sheriff's office to discuss the dismissal. This story was updated Thursday, Jan. 11, 2018, at 11:35 p.m. with more information.